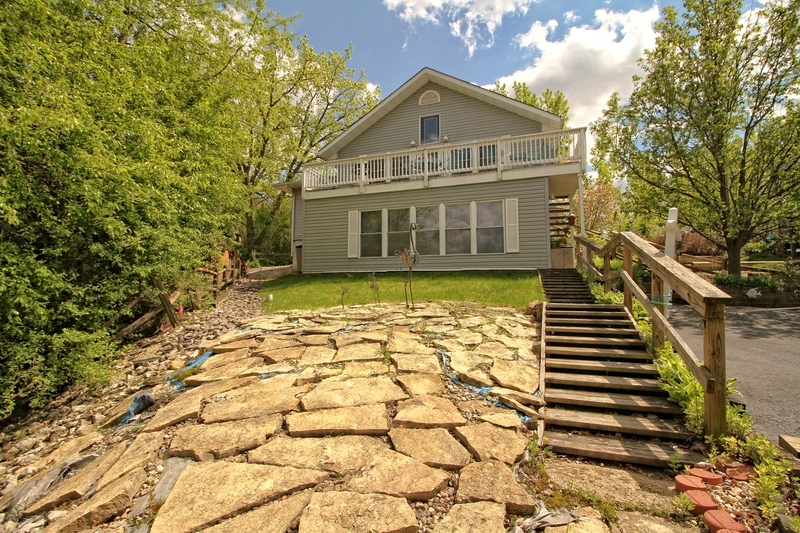 IMMACULATE & UPDATED lakefront cottage in beautiful Shadow Lakes Resort & Residential community! Over 1300 sq ft, this year-round retreat has an appealing open layout - with vaulted, wood plank ceiling; numerous custom windows, and gleaming hardwood floors. The kitchen has abundant counterspace & custom oak cabinetry. The LR opens to the huge deck - which overlooks the lake, and offers captivating views all around. BONUS: surrounded by forest & nature preserves, with miles of hiking trails; ALSO, fishing, kayaking, and other resort-style activities available. The superbly finished walk-out basement has 2 large BRs, full bath, and sweet enclosed porch/sun room that exits to the lovely landscaped yard, and stairs down to the dock. An absolutely ENCHANTING property - come and see!